This past weekend I drove down to Rockaway, NJ to check out the Show The Art Finishers Sub Only event. 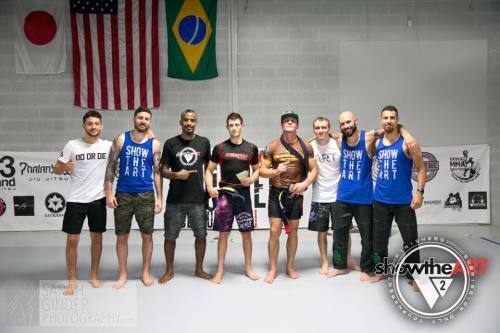 The event is a collaboration between Show The Art and Finishers MMA/10th Planet Bethlehem and was held at the Main brothers academy, Pure Mixed Martial Arts. There were a few reasons behind my decision to go to the event; support my friends in their business ventures, learn some tricks of the trade to apply to the Radius Invitational, and watch some high level jiu jitsu. 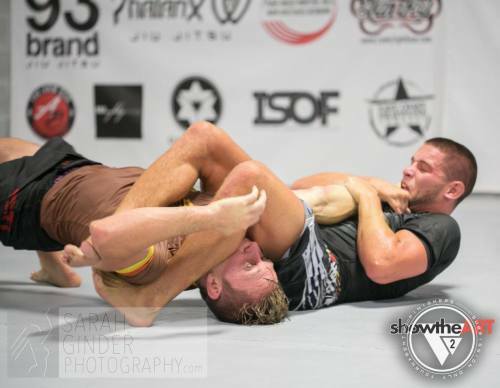 The high level jiu jitsu did not disappoint! There were two 16 man brackets at 135 lbs and 155 lbs and both were action-packed. It was a $100 entry with the winner taking all of the money. There were equal parts exciting submissions and nail-biting overtimes. The 135 lb final came down to Ethan Crelinsten out of Tristar/Renzo Gracie against Frank Rosenthal out of Renzo Gracie. After a back-and-forth battle Ethan was able to secure a submission in overtime for the victory. 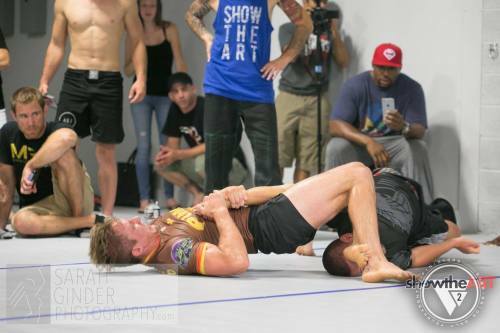 The 155 lb final featured Pat Sabatini out of Renzo Gracie Philly vs PJ Barch from 10th Planet San Diego. 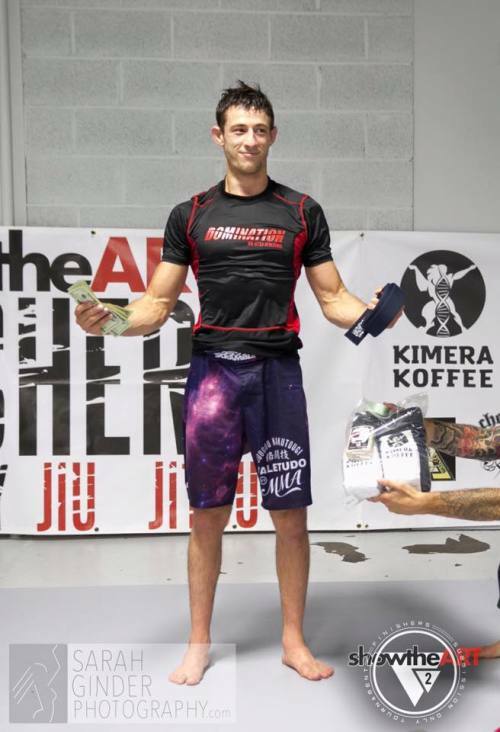 Both guys had tough matches to get to the final, with PJ having to beat EBI veteran Mikey Main as well as EBI veteran and returning Finisher’s champ Mike Davila. After a closely contested 15 minutes the match went into overtime. 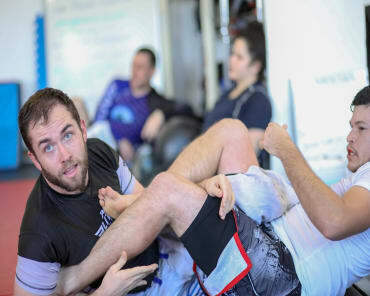 During the overtime rounds each competitor had a fully straightened arm bar that looked like guaranteed victory, but they each managed to escape! The crowd was erupting in excitement and writhing in phantom elbow pain at the same time. I would be shocked if both guys were not feeling it the next day. By the time it came down to the bottom of the third overtime, PJ had built up a 2 min 57 sec lead on escape time; meaning that he only had to escape in less than 2:57 to win. It seemed like a reasonable to task to complete as almost three minutes is a long time to keep control, but Pat Sabatini was tough and professional with his back control. He had the body triangle cinched down and kept the seat belt control every time it looked like PJ was about to escape. As the 20 second warning was announced PJ looked exhausted and it appeared that Pat was going to ride it out and get the victory, but PJ dug deep and had other plans! 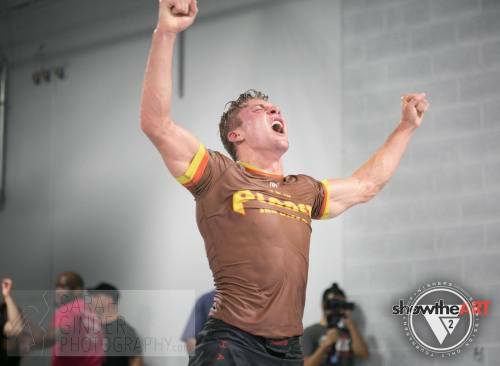 With only 10 seconds left PJ was able to open the body triangle and twist free of the back control, to secure the victory. The crowd roared in excitement while PJ’s teammates stormed the mats. I took a deep breath and noticed I had goosebumps. This was easily the most exciting jiu jitsu match that I have ever watched in person. I look forward to possibly seeing both of these men in a future EBI. I had a three hour drive alone back to Connecticut and could not stop replaying the events of the day in my head. 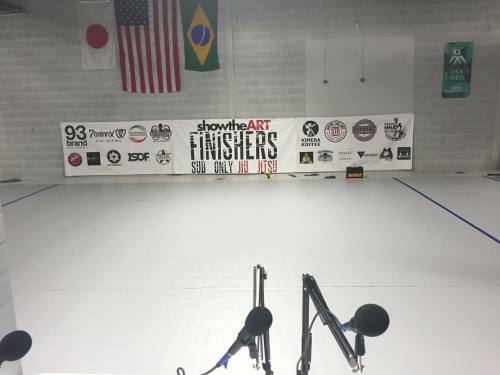 Job well done to all from Show The Art, Finishers MMA, the Main brothers and Pure MMA, all of the competitors, and all of the volunteers. You are truly on to something big and I would not miss the next one.